And then there was that time I made a bunch of icons for Walmart. 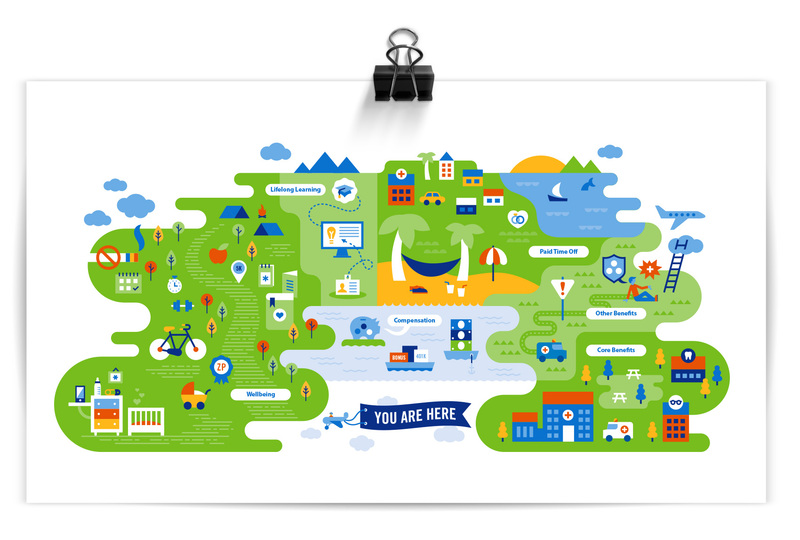 This library of icons, infographics and spot illustrations was used in Annual Enrollment materials for Walmart. // Annual Enrollment explains the benefits provided by an employer to all levels of employee; the content for the various pieces relied on variable content. // The illustrations were developed in the Walmart brand palette. // The work featured is a snapshot showing about one third of the illustration work completed. 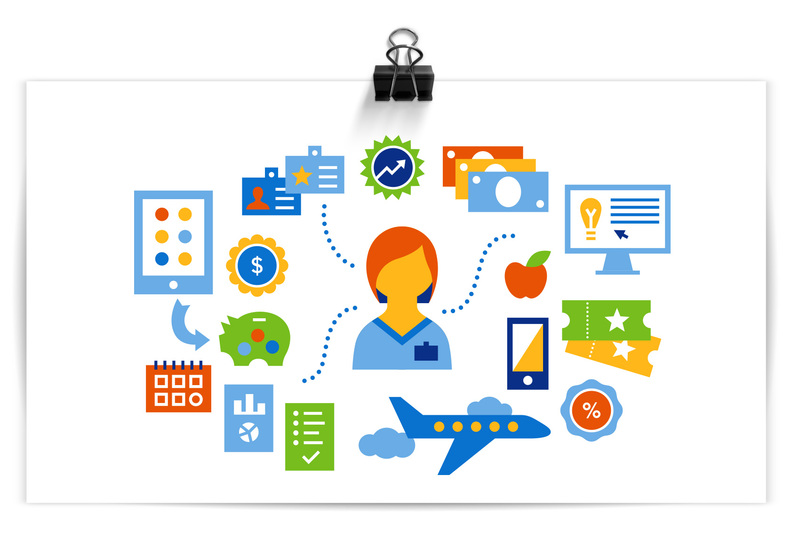 // All work was created for Liquid Agency with CD Kylie Emers & ACD Aldo Mollinedo for the end client Walmart. Six years ago marked Well Vegan’s launch when Bureau developed the brand from scratch for food-entrepreneur Katie Koteen to market her vegan meal plan subscription service. This spring, with a ton of new site features and her first cookbook under her belt, Katie wanted a refresh for the logo and website. The first thing on the docket was a logo update. The friendly hand drawn script was a keeper, but legibility was increased by redrawing it on a level baseline and separating the two words with a visual – one of Katie’s favorite illustrations from the initial branding, a white radish. A pop of green was retained in the radish leaves, but the overall impression was more toned down. 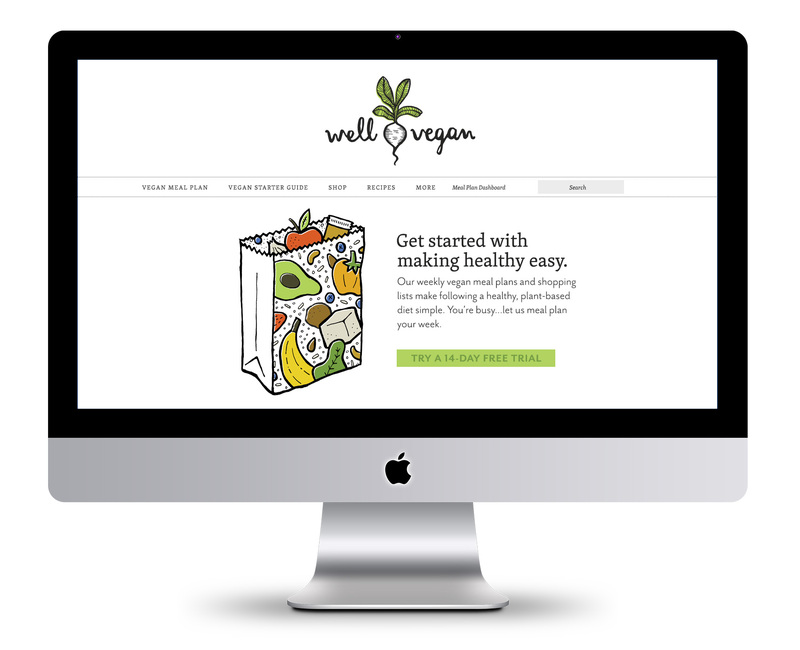 The inaugural 2011 branding for Well Vegan included lots of hand drawn elements, borders, spot illustrations and illustration as main images (see it here). In 2017 Katie wanted to update the site based on the increase in photography and recipe posts, as well as make the site feel a bit simpler and cleaner rather than the homespun start-up it used to be. A major area of focus was paring down the use of illustration and color to allow the food photography to shine. Instead of being the main focus, illustrations were used as accents and often in black & white instead of full color. The fonts also were refreshed – headline and accents were kept in the friendly legacy font (Skolar) while body and informational text was updated to the lighter, brighter Mr. Eaves. In the instances where illustration is used for main effect, we stuck with the black line-work style with color accents. This also left room for future promotional illustrations which had been a heavy favorite over the years with subscribers and the Pinterest crowd. 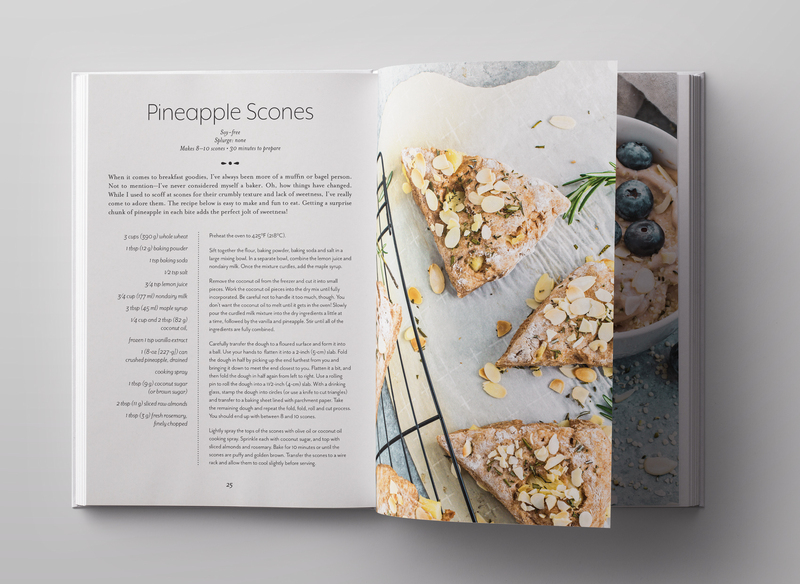 The new streamlined feel was leveraged lightly throughout the site and in the cookbook design, featured on the cover and as page accents. The book is currently available. From full-frontal meat spectacular to a dense foliage-laden tome of vegan cooking knowledge, my last two projects were on opposite ends of the food spectrum. 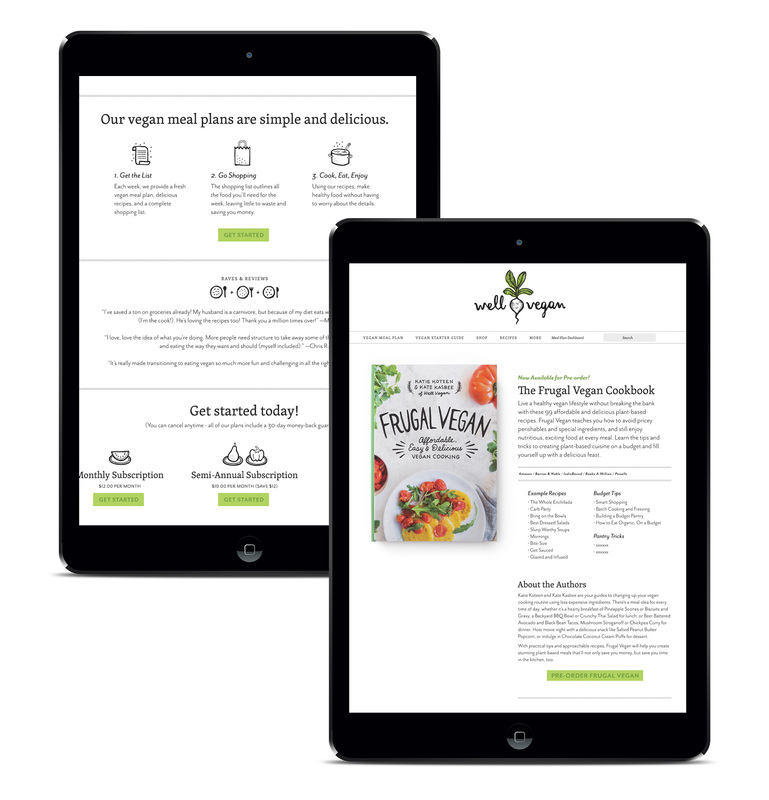 This time the project at hand was designing a vegan cookbook: The Frugal Vegan! It’s no wonder half my blog posts are tagged MMMM, FOOD. A friend and colleague I’ve worked with over the years recently published her first cookbook. 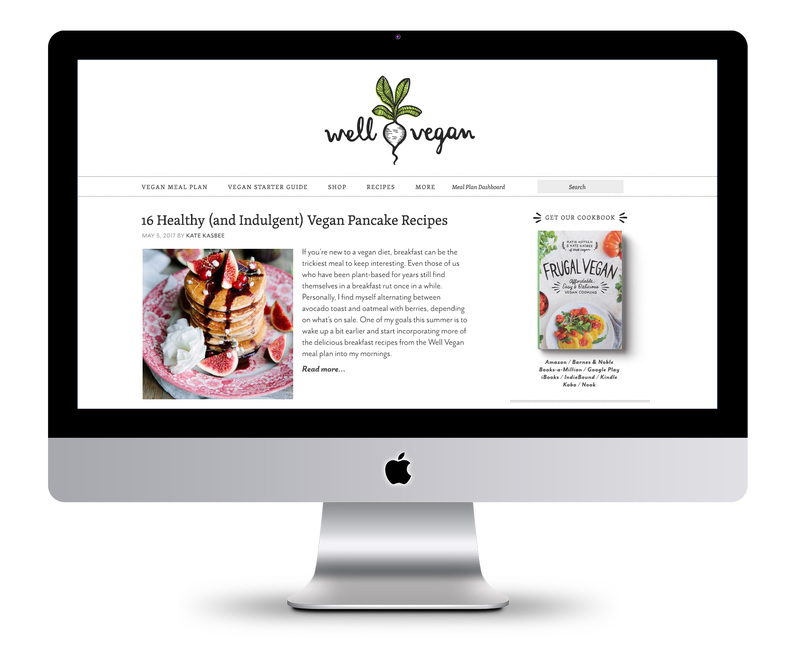 Well Vegan is Katie Koteen’s online vegan meal-planning service. It was launched in 2010 and had been a side project of hers for several years, growing slowly with the addition of Kate Kasbee, then expanding the recipes and features on the site, and finally becoming a main focus of work which led to a book deal: Frugal Vegan: Affordable, Easy & Delicious Vegan Cooking. One of the most exciting parts of working with small business owners is seeing them grow their business and what direction(s) it takes over the years – this one is definitely on an upward trajectory. Katie & Kate tested and refined 99 recipes that focus on budget-friendly vegan cooking. I got to taste a few recipes along the way, witness an upgrade from an unreliable stove to a gas-top range, and in the end was asked to help with the book design. 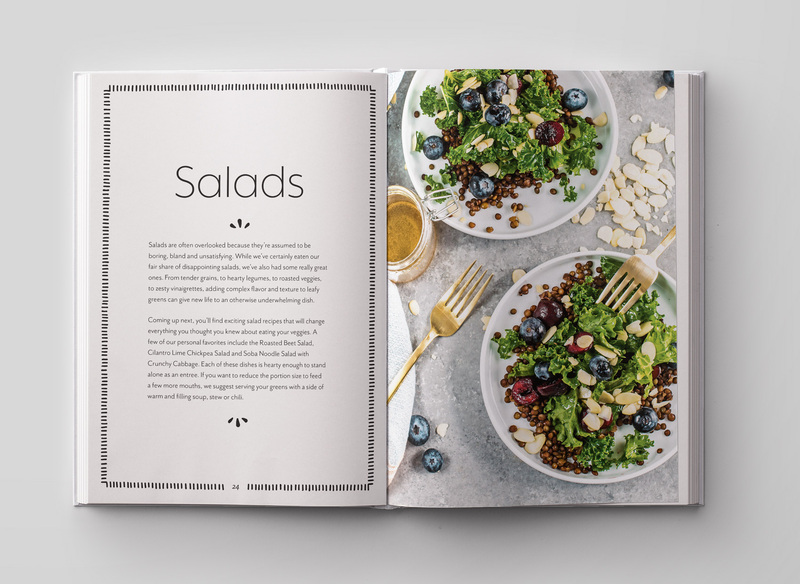 The project scope was limited but made a nice difference – developing a cover with photo direction and hand drawn typography reminiscent of her Well Vegan brand and creating an inside template for recipes and chapter introductions. Photography was shot by Wonder Jam. The end result is a fresh and easy-to-read cook book with accessible recipes that even (gasp) I could make. Probably. 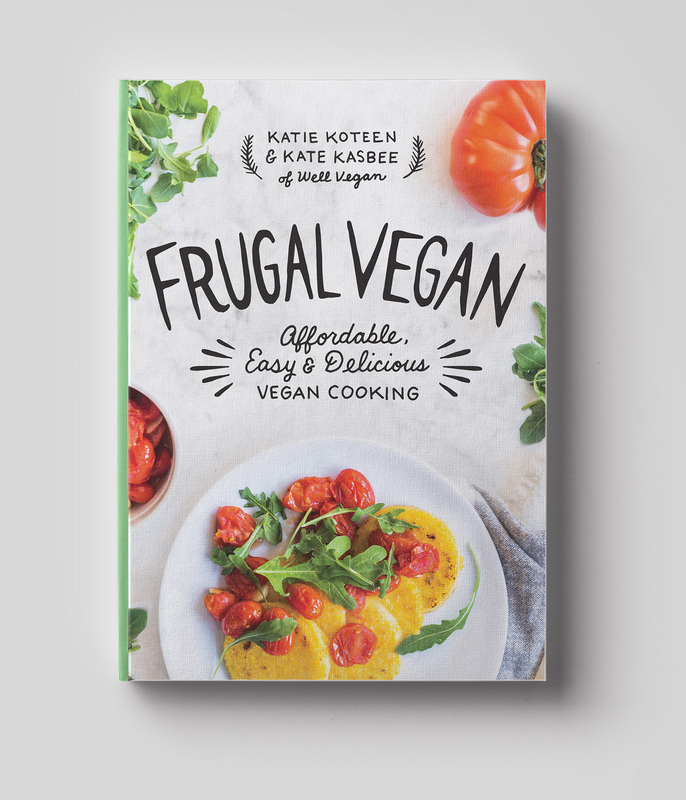 Frugal Vegan is currently available for pre-order. A client that continues to provide fun and interesting projects, Olympia Provisions, recently commissioned the Bureau create a holiday gift guide (more to come on that another day). One of the main photo spreads was a compilation of all of their charcuterie in the shape of a pig, with the products placed approximately where it came from on the pig (give or take an artistic license or two). 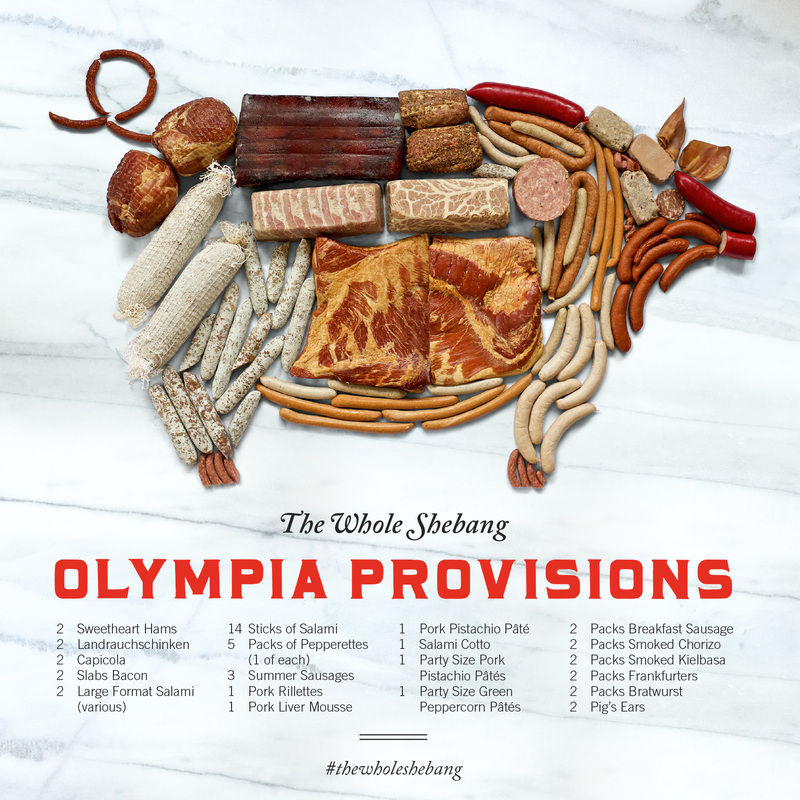 The image was created by salumist Elias Cairo of Olympia Provisions placing all the meats in their respective areas, then myself adjusting the placement until it looked like your friendly neighborhood oinker if you were looking at it with X-ray meat vision. Photographer David Reamer shot the piece from a ladder, top down on a white sheet. The white marble was added in post production to give the pig a neutral background and showcase the variety of colors and textures (apparently fat marbling is a big deal in the meat world). Now, I’m not averse to meat. I eat it. I enjoy it. I’ve even spent time in slaughter rooms on Eastern Oregon ranches during my youth and had my dad chase me to the hay barn brandishing a cow’s tongue (scary for an 8 year old). But in my last two decades of life I haven’t handled that much meat because a) I’m not the main cook in the house, and b) I live with a vegetarian. But handling 50 pieces of meat several times each for over an hour is a bit beyond what I ever though my job as a designer would entail. Suffice to say, I fulfilled my meat handling quota for the year on this project! Last minute dinner guests? Need to throw a party for a hundred of your best friends or business associates? Fear not—with our half pig, you’ll never experience a pork shortage again. Includes everything listed! Assembly required.